When to Transition from a Student Trumpet to an Intermediate Trumpet? How to Choose a Professional Trumpet? 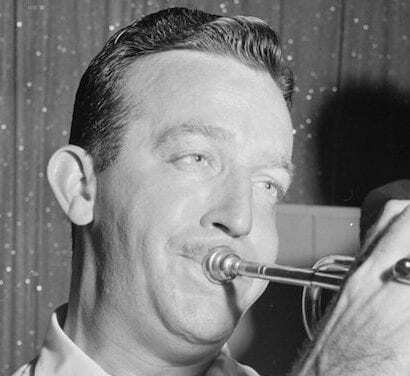 Trumpet Embouchures: What makes a good embouchure? If you are seeking to buy a new trumpet, chances are you are acquainted with them in the general sense. You may not know the ins and outs of the trumpet even though you are familiar with the instrument. If you want to constantly improve your skill, you should learn about them fully to gain a better understanding. A trumpet is an instrument in the highest register of the brass family, and it is one of the oldest instruments in recorded history – source. The trumpet is played by closing the lips, blowing air into the mouthpiece and creating a buzzing sound that creates a wave of vibration in the instrument’s air column. They are normally made of brass tubing bent twice into an elongated shape. There are many varieties of this instrument, and the most common is pitched in B and features three piston or rotary valves. 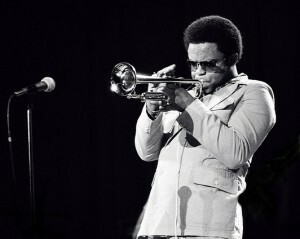 A player that performs with the trumpet is commonly known as a trumpeter. The best trumpets are used by professional trumpet players, but there are types for all skill levels. 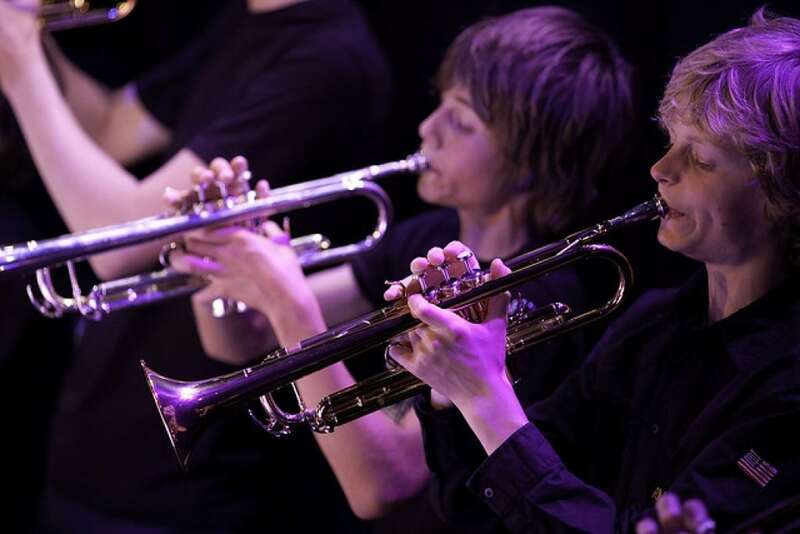 Student trumpets are built to cover the basic needs of young or beginner players. 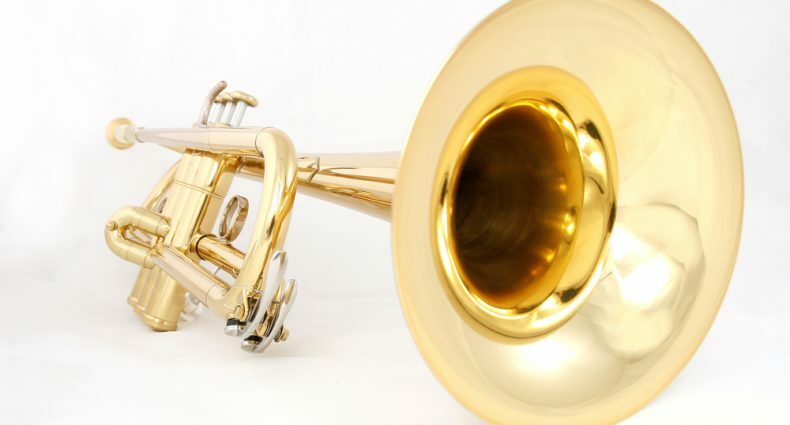 They are made to be easy to master as well as strong.Many beginners are still quite young, so these trumpets need to be sturdy enough to endure the dents or bumps they are likely to face. Intermediate instruments are made for serious amateurs and developing players. They offer less durability in exchange for enhanced tone. Professional trumpets can also be purchased for developing players that may not yet be professionals. These are the highest quality instruments available, and they are meant for those that need this type of functionality and sound in their endeavors. In general, a beginner’s trumpet is one of many mass-produced instruments crafted by machines. They are made with more manufacturing compromises in order to reduce cost. Professional instruments are made in smaller quantity with more specialized components, and they often feature parts shaped by hand. As the player develops, beginner’s trumpets will eventually limit their ability to advance, but pro trumpets are made to meet demands of highly-skilled players. They are made from better quality materials and are put through more rigorous quality testing. How often does the player practice? If the trumpeter is not that enthusiastic about improving, it is probably not worth the effort to buy an advanced instrument. Is the current instrument well taken care of? 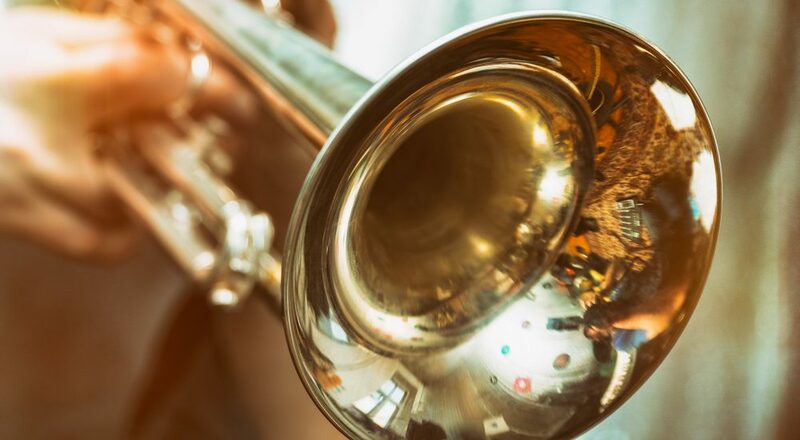 If you or your student trumpeter cannot dedicate enough effort toward keeping the instrument in good shape, it is probably not the time to invest in a more expensive model. If you need to replace the one you have in this situation, you should stay within the same skill and price level. Will it be used in a marching band? Trumpets on the marching field are much more susceptible to damage, so it is best not to use the most professional models for this purpose at least until college. Does the player have a genuine interest to play for years to come? 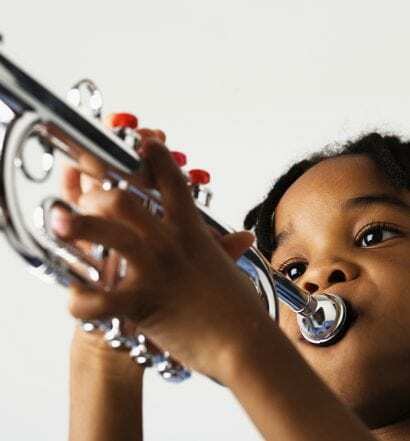 For younger players, their interest in the instrument may not go beyond high school band. Others desire to play in college or professionally. Even those that take up the trumpet later in adulthood may desire to take their skill to the highest levels. For those that eventually lose interest there is no need to invest in advanced instruments. During skill development a dedicated trumpet player will become hindered without a more advanced instrument. No matter the age, if the player is gifted and dedicated to playing he or she should have access to a professional trumpet as soon as needed. There are numerous factors to consider when finding a trumpet for sale. The following are some of the most important. The trumpet should be able to play well at all dynamic levels. The specific timbre of the trumpet can be a matter of personal preference. Some players like a more bright and jazzy sound while others prefer a darker and bigger orchestral sound. The intonation should be consistent, and there should be no unusually sharp or flat tones or notes that sound more dull or bright in comparison to the rest. The tougher registers should be free-blowing without feeling pinched, and the trumpet should project easily without excessive effort. The best trumpet brands create instruments with smooth valves with first- and third-valve rings or triggers for tuning adjustments. There should also be a stopper to prevent the third-valve slide from falling out. 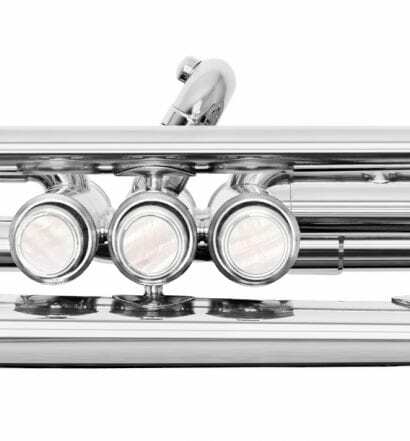 Aside from their brass base, most trumpet models are available with an additional finish. A lacquer finish is sprayed and baked on to the trumpet. It adds a darker sound. A silver-plating finish is applied by electroplating and brightens the sound slightly. 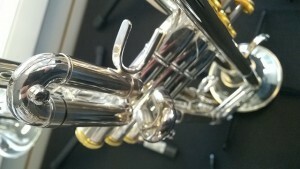 The finish of silver trumpets is more durable than a lacquer finish. A gold plating darkens the sound slightly. It is only found on professional trumpets. The price of the instrument will often reflect its quality. While quality instruments can be found in the intermediate price ranges, those with higher prices tend to offer the best playing experience. When picking the right trumpet you must consider the player’s unique circumstances. Amateur players need an instrument that they can master while improving. The YTR-2335 is a Yamaha student trumpet that performs well while also being able to handle marching band activity. The best intermediate trumpet will help the player progress slowly with better quality. The Getzen 590 Capri provides great sound quality and Amado water keys for free blowing. Most players and teachers agree upon the Bach 180S37 Stradivarius as the best professional trumpet available. It suits every style from the orchestra to the jazz ensemble. Bach is known for producing the most professionally-played trumpet on the market, the 180S37 Stradivarius. Other models include the Bach TR200 and Bach LR180S37. The TR200 features the same classic quality features as top-of-the-line instruments along with its Stradivarius-style brass valve casing. 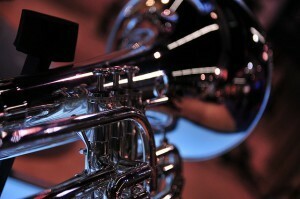 Conn offers a range of trumpets for intermediate to advanced skill levels. The Conn 52BSP CONNstellation produces a rich dark sound and features a large bore for enhanced tone and resonance. It is a powerful instrument that is simple to master. The Vintage One is also a quality trumpet that offers modern convenience with classic performance. Getzen produces quality instruments for serious players, and the 590-S Capri is an intermediate trumpet with space for versatility. The 900S Eterna is a remake of the classic form with the same tone quality and blowing ability. The 3050 Custom Series is designed for individual play, and it is a great choice for dedicated high school and collegiate players. It provides a brilliant tone with appropriate resistance and exceptional intonation. Kanstul trumpets are known for their dark tone production and heavy build. The 1000 Series is a reproduction of the classic Elden Benge trumpets. It is a versatile model that produces full sounds in the middle and brighter tones in its higher register. 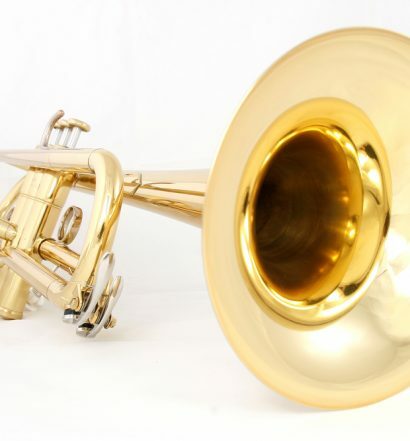 The 700 Series is an inexpensive horn with capabilities of a professional model. 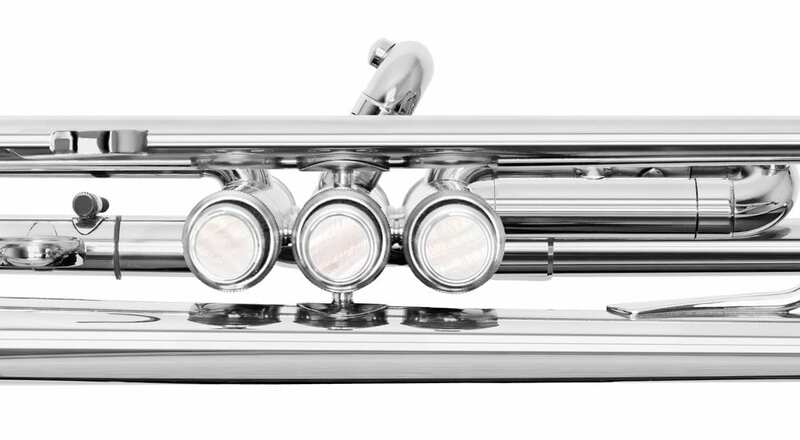 Schilke’s most popular trumpet is the lightweight B series. They are known for being very responsive with a brilliant sound and impressive intonation. The B series trumpets are very well-made with hand fitting and adjustments. In comparison to other brands they provide some of the best quality in terms of dollars spent. The Schilke B1 features a medium-large bore with a large bell that is free blowing as well as versatile. Yamaha trumpets feature a construction quality that is exceptional, and their instruments are consistent from piece to piece. They feature models of all weight classes, and the Xeno YTR-8335RGS is their own version of the coveted Bach 180S37 Stradivarius. 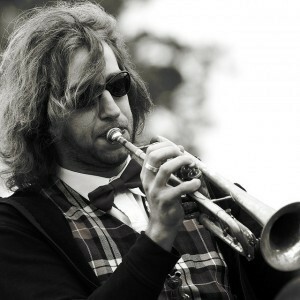 The 8310Z is an easy instrument designed with the help of jazz trumpeter Bobby Shew. Their Artist model trumpets are designed by the highest quality standards, and they are meant for top orchestral professionals. There are a few rules to remember when purchasing quality trumpets. You should avoid products from retail stores as well as those with a flashy appearance. These tend to be dull-sounding with faulty mechanics. 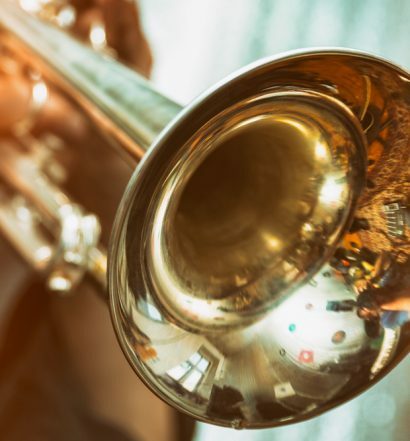 The best student trumpets are typically affordable, but it may be hard to distinguish between those that are actually worth your investment. In order to keep a trumpet in working order the player should keep a variety of accessories on hand. Carrying extras such as cases, valve oil, mouthpieces, brushes and cloths makes upkeep much more convenient. Provides a comfortable rim to place the lips while playing. A mouthpiece brush helps keep this clean. An included trumpet bag or case may be good for home storage, but when the instrument will be transported it should be kept in a sturdy hard case. This is essential for keeping valves fluid for easy playing. It may also protect against bacterial growth. A cleaning snake helps remove debris from the tube of the trumpet. Cleaning cloths help it retain its external luster. Q: Is it better to rent or buy? 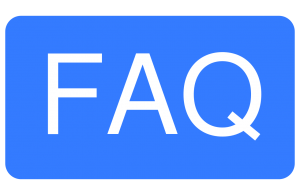 A: If you are certain that you or your student is set on learning the instrument, it may be a good idea to buy a trumpet if it is higher-quality. If it may just be a passing hobby, or you plan to stay in the beginner range, it may be wiser to rent. 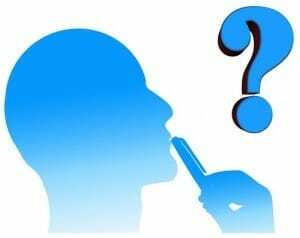 Q: Should I start out with a professional trumpet? A: There are benefits to both professional and student trumpets. If the cost is not an option, it does not mean a new player should rush to more advanced models. The beginner’s trumpet is made to be easier to use when one needs to gain familiarity with the instrument. It is also wiser to start with a less expensive model until the player is certain about continuing as a trumpeter. Q: Are intermediate trumpets really necessary? A: For gifted players that show potential quickly, the intermediate step may not be necessary. Usually players choose this option when an upgrade is needed due to enhanced skill but they are not yet willing for the financial burden of the best instruments. If you have tested a trumpet in person, you can usually find a reliable piece by shopping online. This may be a great option if you are just starting out and need to rely on student trumpet reviews to see how they perform for others. The best places to purchase trumpets while viewing users’ opinions are Amazon, Woodwind & Brasswind, and Music123. You may be able to find used trumpets for sale on Amazon, and the other shops are great for new professional trumpets. When picking up the trumpet it is wise to look for the best trumpet for you or your student. 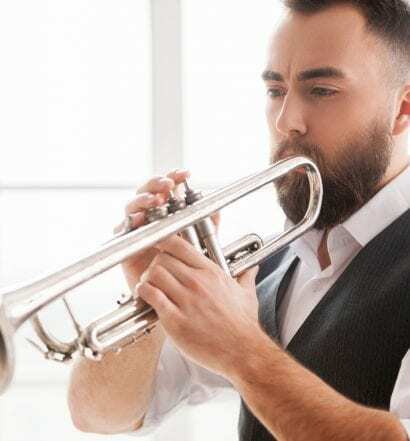 Having the ideal trumpet will ensure skill development and increase the likelihood of personal dedication toward improving and continuing to play for many years. 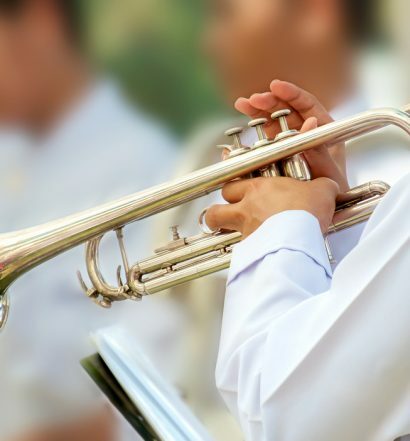 Younger players that are just starting out can fare well with student trumpets until their skill is greater than the instrument can accommodate. 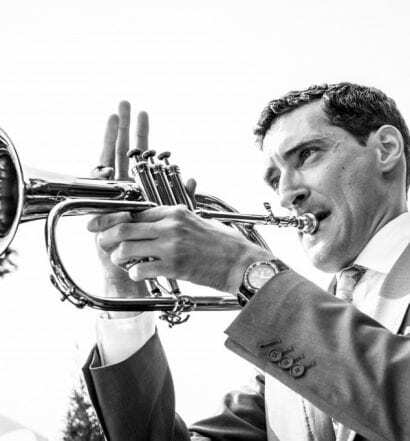 If you decide to upgrade to a professional-level trumpet, make sure there is absolute commitment on the player’s part. 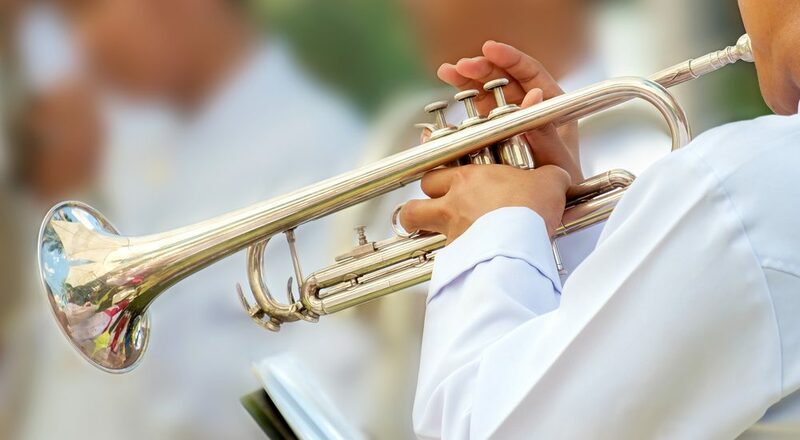 Before investing the time, money and quality into a professional instrument it should be established that the trumpet will be played on a regular basis for years to come. Picking among the many trumpets for sale involves taking more than one element into consideration. No player should decide on an instrument based on appearance, durability or price alone. Cheap trumpets for sale may fit a tight budget, but they are stifling to skill development in the long run. The top trumpet will be the one that meets the players specific needs. Each player will want and have a personal sound. Some may prefer a more commercial sound, and other players will aim to play orchestral ensemble works. The setting where the trumpet will be used also comes in to play, so every aspect of skill and performance should be weighed heavily while researching trumpet reviews. There are many good trumpet brands from which a player may purchase. The best method is to recognize that a brand will not guarantee satisfaction. What works well for other players may not work the same way for you and your playing style. You cannot make a choice on brand alone, so it is best to experiment across brands with different models. You want to make sure you have chosen a quality instrument for your skill level, so seek the advice of a professional player or instructor if possible.